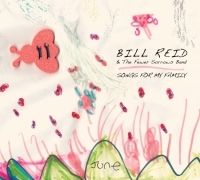 For lyrics of Bill Reid compositions, click HERE. BOOKINGS AND LICENSING: call (area code eight three zero) 598-7653 or email FSM HERE. Bill Reid is a BMI songwriter. 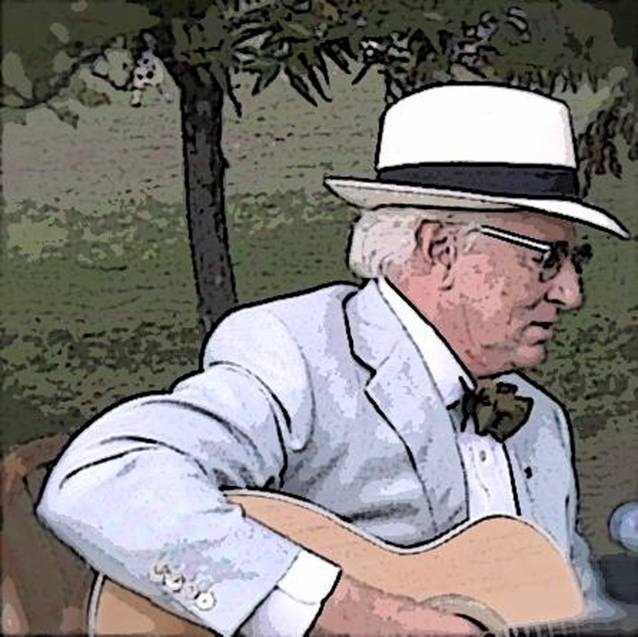 In addition to Bill, players on Reid tracks and samples may include Clayton Ivey, piano & Hammond B-3; Denis Solee, saxophone & clarinet; Bill Hullett or Chris Reeves, lead guitar; Glen Duncan or Ron Knuth, fiddle, mandolin; Michael Douchette or Tony "Little Sun" Glover, French harp (harmonica); Michael Douchette, steel guitar; Dow Tomlin, Bass; Tommy Wells, Eddie Anderson, Wes Little, Tim Grogan, or Stephen Meyer, drums; Vickie Carrico, Etta Britt, Michael Black, J'Nae Fincannon, Christine Albert, Mike Blakely and/or Brian Collins, additional vocals; Sue Ann Meyer, organ & additional strings; Stephen Meyer, engineer & dobro; Bill Reid, vocals, rhythm guitar, and alternative lead. 2011 and 2012 cuts and tracks recorded at Hilltop Recording Studios, Nashville (John Nicholson, engineer). 2011-2015 Mastering by Jerry Tubb, Terra Nova Digital Audio, Austin, Texas. For BOOKING information, email Fewer Sorrows Music. Purchase complete songs and albums at CDBaby, iTunes, or Amazon.com. All Reid & Reeves compositions are copyright (c) 1972-2015 by William H. Reid (BMI) and/or Chris Reeves (BMI). To contact Bill, or for LICENSE or BOOKING information, email Fewer Sorrows Music. On the 2015 Grammy® ballot! Can't Get Somethin' for Nothin' One of John Henry McDonald's best. Double Lucky Blues The title song, and deserves it. Denis Solee on clarinet. Never Get to Memphis Fine song about Elvis from a guy who knew him. Bill Hullett's guitar lead, Denis Solee on sax. One Meat Ball Over 150 years old and still looking for that piece of bread. Denis again on clarinet. Watch for the Fewer Sorrows Glee Club at the end. Hootchie Cootchie Man (full band version) Thanks, Hoyt, for teaching me this over 50 years ago. Mikey & Clayton shine. Snake Farm Just one chord, but a helluva song. Bill Hullett, Denis, and fine background vocals by Vickie, Etta & Michael. (That's) The Bag I'm In One of Fred Neil's least known, but best. Bill Hullett on the rez. Hard Lovin' Loser That's Glenn Duncan on fiddle and Michael on harp. Green Rocky Road Wonderful background vocals by Vickie Carrico, Etta Britt, Michael Black. Candy Man Easy does it. Not a children's song! Michael Douchette, harp, Clayton Ivey, keys. Coffee and Old Men Just a very good tune. Soulful fiddle from Glen. On the 2013 Grammy® ballot! Bird on a Wire. Seriously, you've gotta hear this. Jelly Jelly. New 2013 version. Miss Otis Regrets. Cole Porter meets Clayton Ivey's piano and Denis Solee's clarinet. Cocaine. Adapted from the Fred Neil tune, not Eric Clapton's. Knockin' Around the Zoo. Very early James Taylor. Staggerlee. He was a bad man. Nobody Knows You (When You're Down & Out). New 2013 version. Scotch & Soda. Don't give me any Kingston Trio lip. Dave Guard wrote a great song. St. James Infirmary. Mom remembered this from her college days in New Mexico -- it was old then. On the 2013 Grammy(R) ballot! Thursday Afternoon Arrival (Lullaby for Skipper Leigh). I wrote it the day she was born. The Mountain Man. Written for my grand-nephew Dylan, who really is a mountain kid. Max Growing Up. Written for my first grand-nephew, Max. Cheerio, You-All!. Written for grand-nephew Will, who was born in Colorado then moved to England. Grace Before Breakfast. Written for grand-neice Grace. Talkin' Junebug Blues. New version, for my granddaughter, June. Good Night, Moon (Lullaby for June). Written for granddaughter June when she discovered the moon. In the Jailhouse Now. A Jimmy Rodgers favorite, around long before he showed up. Stewball. I like horses and somebody had to do an accurate version. 'Way Down Yonder. Gospel, complete with the choir. ". . . a rich tapestry that brings every song alive . . . Reid and the Band take the listener on a nonstop road trip with wonderful hills and curves. It's a great ride!" Pocket Full of Soul. From my buddy Jimi Lee; theme for the blues harmonica documentary of the same name. Trouble in Mind. I've played this for 50 years. Pancho & Lefty. Hope we did ths song, and Townes, justice. In a Young Girl's Mind. One of Hoyt's very best songs. Betty & Dupree. Just good blues, much as I learned it from Josh White in the 1960s. The New Frankie & Johnny. Not so "new" now, but it was in the 1960s. Mr. Bojangles. Think George Burns & Sammy Davis, Jr., not the Nitty Gritty guys. Sunday Mornin' Comin' Down. One of the best-written simple songs I know. I'll Be Missing You. This one's gonna be a classic. Eastland County Bound. Instrumental just made for a TV or movie car chase. A Real Good Year for Beer. Don't invest in love, but it's gonna be a real good year for beer. Hello In There. The best of John Prine's compositions. Jelly, Jelly. Blues as I learned it from Josh White nearly 50 years ago. Talkin' Junebug Blues. For my granddaughter. Great Christine Albert voice! One Town at a Time. Country fans with a sense of humor are gonna like this. (Did You Hear) John Hurt. The Zydeco version. Nobody Knows You When You're Down & Out. Ain't it the truth. Drivin' Home. From my truck driving days. Autumn. Play it for your wife or your girlfriend. Hoochie Coochie Man. Yes, I am. A Place Inside My Heart. The title song; Austin Songwriter Competition winner. Bill's Jump. Delta blues meets zydeco. Good Night, Moon (Lullaby for June). Sweet. Just sweet. Sweet Baby James. Just Bill, live, from decades ago. Ship in the Sky. Just Bill, live, from decades ago. Requiem Series -- Prelude: Requiem Vivace. Rough recording. Requiem Series -- Youth. Rough recording. Requiem Series -- Age. Rough recording. Requiem Series -- Postlude: Afterlife. Rough recording. Reid compositions copyright (c) 1969-2012 William H. Reid (BMI). To contact Bill, or for License or booking information, email Fewer Sorrows Music.